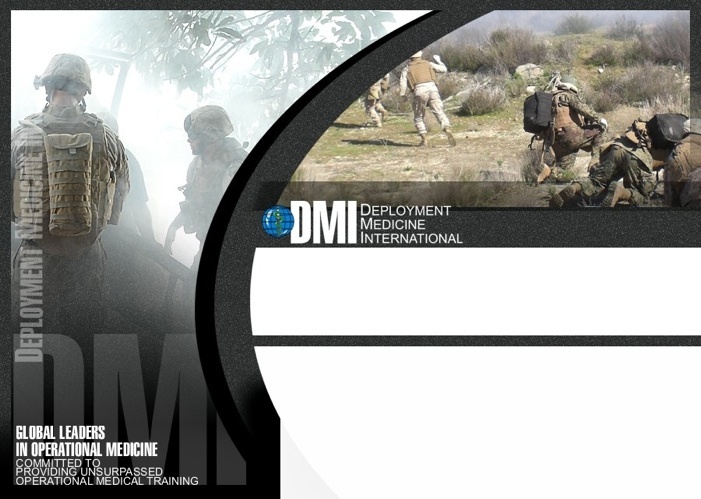 DMI is a team of professionals committed to providing unsurpassed operational medical training complemented by unmatched direct deployed medical support and mission oriented research. The Committee on Tactical Combat Casualty Care (CoTCCC) was established in 2002 by the US Special Operations Command with support from the US Navy Bureau of Medicine and Surgery (BUMED). This multi-service committee is comprised of military and civilian trauma specialists, operational physicians, and combat medical personnel. The CoTCCC is responsible for updating the guidelines based on current civilian and military trauma care, medical research, and combat doctrine.